Ullman Sails is an international group of independently owned lofts with locations in 25 countries and 75 locations worldwide. Benefiting from the collaboration of skilled designers, experienced sail makers and decorated sailors in each of these locations, the Ullman group is founded on a rich and diverse heritage of sail making. 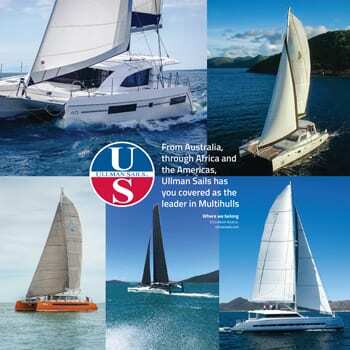 In 2018, Ullman Sails International merged with their South African manufacturing facility – a key production house for the worldwide OEM yachting market. This allowed the brand to grow on their promise of a consistent product, delivered consistently, at competitive pricing throughout the world. The Ullman brand is known throughout the industry, both in South Africa and abroad, for supplying quality sails with consistent delivery. And this has never been truer. To this end, the Ullman group has also recently signed up two new licensees in China and Canada with more plans to grow their global reach. 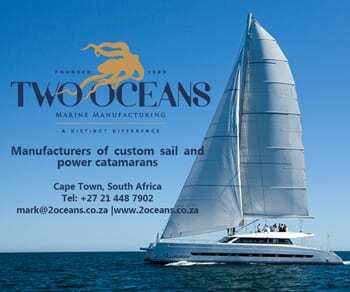 Their sales are the go-to choice for most of South Africa’s famed multihull manufacturers and one would struggle to walk down a dock anywhere in the world and not come across their iconic red and blue logo. 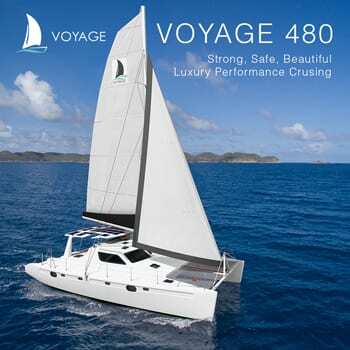 But what really sets the brand apart is that they don’t just offer a standard stock line of inexpensive cruising sails – they work directly with the manufacturers and their customers to custom sails that work for the exact boat specifications and sailing style. Ullman Sails . . .